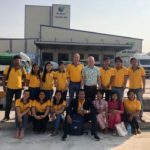 From the beginning of March until the end of April the Fresh Studio corn-team has been on the road in Southern Shan and Kayah state to train 1000 corn farmers. The team consisted out of Ko Thein Win and Ma Honey Oo, both agronomists. 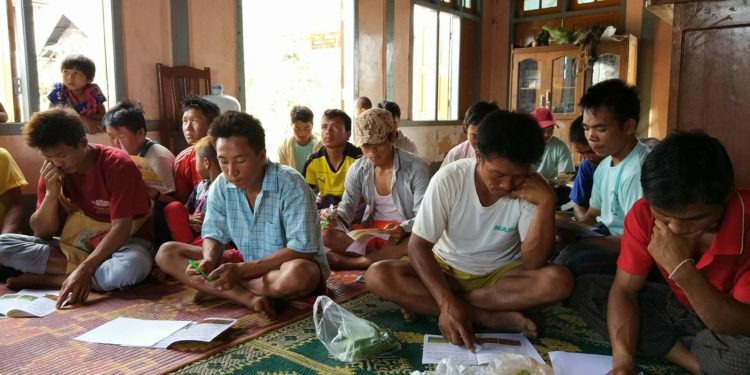 The SAPA (Sustainable and Affordable Poultry for All) corn trainings and planning are developed in such a way that it is in line with the corn growing season. The corn growing season is about to start, therefore the topics raised in the current training were: land preparation, sowing, weed control, fertilizer application, pest and disease management and soil sampling method. The Fresh Studio team could not have done this on their own without the help of 22 extension staff (part of SAPA) who are responsible for the day to day communication with the farmers and are living in the respective areas. The townships that they are active in are: Taunggyi, Hopone, Lawksauk, Sesai, Loikaw and Pinlaung. 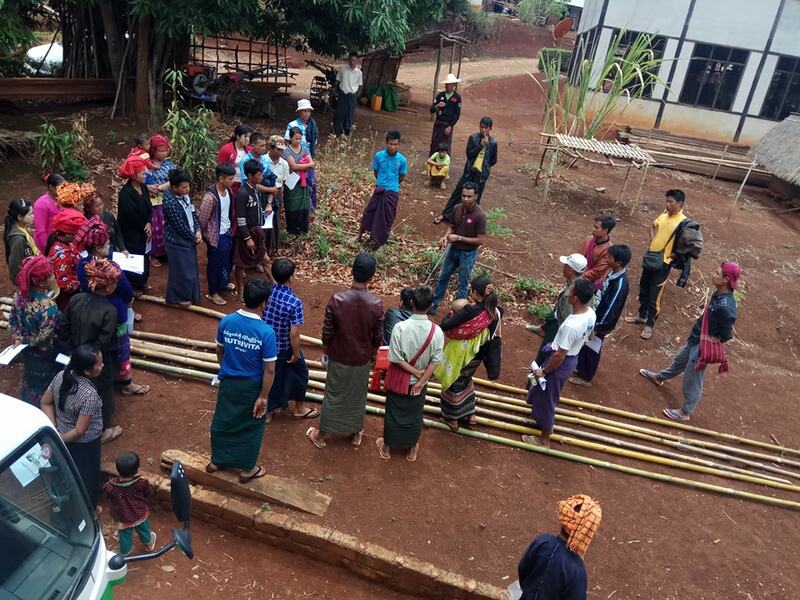 One of the crucial benefits of working with local extension staff is that they are from the same ethnic (Paoh, Shan, Kayan, Danu); they know the farmer situation; they know the farmers personally and they speak the local language. Speaking the local language is crucial in order to train the farmers on the topics which are essential to improve the corn farming practices. Through transferring knowledge and skills in the local language the sustainability of the training is maintained as the farmers apply it on their land. 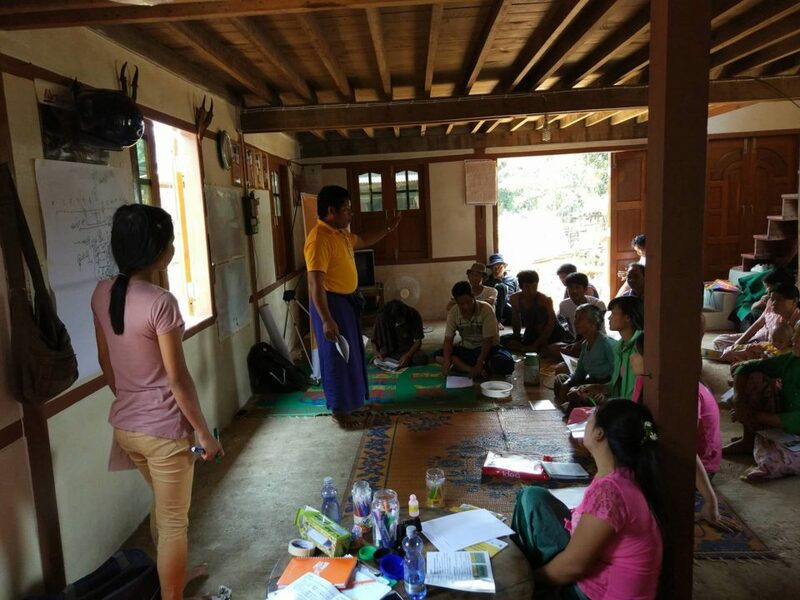 Although this training is officially called Module 1, the extension staff already conducted Module 2 at the end of 2017 which addressed harvesting and post-harvesting techniques and record keeping (as training topics are in line with the corn growing season). Training the farmers was for all extension staff something new and exciting and therefore the Fresh Studio team spend extra time on didactical and training skills, besides the technical knowhow. Comparing the performance of the extension staff in the first training with their performance in the second training one could see completely different persons. The extension staff were well prepared, more structured in their approach and showed more confidence in front of the group. And it was difficult to finish the training as they could not stop talking and sharing their knowledge with the corn farmers! As mentioned in the introduction Module 1 is related to land preparation, sowing, weed control, fertilizer application, pest and disease management and soil sampling methods. The current practices of the corn farmers do not consist out of systematic sowing row and plant spacing practices. Furthermore, fertilizer application does not happen in a structured way, if it is even happening. In the SAPA areas the usage of fertilizer varies tremendously. In some villages hardly any fertilizer is being used as in some villages fertilizer is being overused. But even more importantly, doing a soil analysis to calculate properly the effective usage of fertilizer and what type of fertilizer should be chosen is new to the SAPA corn farmers. With a right, systematic way of fertilizer application the corn yield can increase more than 100%! The corn growing season in Southern Shan and Kayah state starts from late May and the corn is ready to harvest at the beginning of October but the actual harvesting usually starts around December to January. 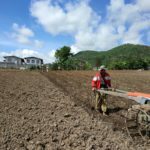 Farmers start preparing their land right now and therefore it is crucial that the training took place in the last couple of months. Another important aspect of the learning and actual application of the training are of course the farmers themselves! Therefore the extension staff selected young farmers who are active, eager to learn and ready to make a change! With all the needed ingredients in this last corn training (essential topics, motivated extension staff and eager farmers) the farmers are better prepared for the upcoming corn growing season and the plant performance at the end of the growing season can only improve!